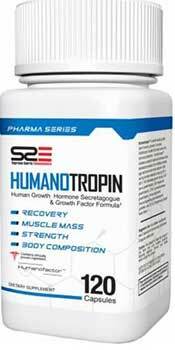 Humanotropin is a Growth Factor Support Formula according to the manufacturer. The name stems from the shrewd joining of two other words; the first one is hopefully recognizable by all humans, and the second is Somatropin – i.e. that other fancy word for Human Growth Hormone. The top listed ingredient – “Humanofactor” – is Supreme Sports Supplements’ own blend of bovine colostrum extracts. Colostrum is also known as ‘first milk’ and is basically the fluid produced by female mammals that have just given birth, but before the milk starts. As a source of rich protein it is arguably excellent given that it is designed to be a quality dose for the newborn to get a jump start. There is also a case for its immune and digestive system boosting properties. What Supreme Sports are going for is more to do with the growth factors related to growth hormone which are supposedly in first milk as well. While adult humans tend to break the active enzymes down before they can exert a positive effect on the muscles, it may still have a good impact on the intestines. Some athletes who compete at intensity for prolonged periods might enjoy the anti-inflammatory effect of colostrum on the gut. If a user is looking for lean muscle building and fat burning results then they may be a little disappointed. Supreme Sports say their blend passes from the gut into the bloodstream, and therefore to the muscles and other tissues. That said, we’ll take a closer look at Humanotropin. If you like the look of Humanotropin, then you’ll love these. 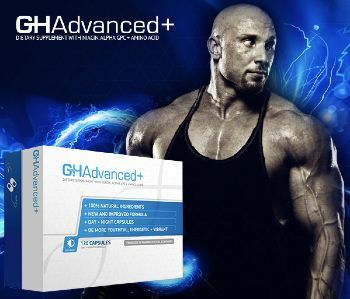 Below is the link to the summary of products we rate the highest in the growth hormone category. We look for many factors of each product before deciding whether they should make the short list. 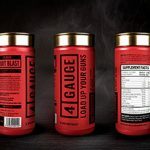 Supreme Sports Supplements have a few products geared towards muscle growth and strength improvement. Humanotropin appears to be one of, if not, the leading supplement they put out. It comes in capsule form, of which there are 120 per bottle, and they will last you a month (30 days) if you take them as suggested every day. The bottle looks quite “clinical” like a lot of the capsule supplements out there at the moment. This design makes products look trustworthy, expensive and potent. They are, however, nothing but the powder that’s inside the little pills. These are not medical drugs, otherwise it’s likely they would only be available if you were waving a prescription around. That’s not to say that products can’t be pharmaceutical-grade, whatever that really means. Nonetheless, it’s clever marketing. Underneath the hood, so to speak, you will find only two ingredients (technically the “Humanofactor” is a blend), which can be a good or bad thing where pills are concerned as less can be more within the limited space they provide. Humanofactor is a blend of growth factors sourced from the colostrum or ‘first milk’ of bovines (cows). 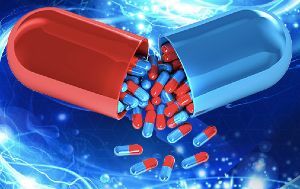 Together with the two main individual growth factors – IGF-1 and IGF-2 – there is a blend of Fibroblast, Nerve Growth, Epidermal and Connective Tissue growth factors included. Technically if they can be transported from the intestinal wall to the receptor sites on appropriate tissues (including muscle) there should be some ergogenic value. There’s a lot of scientific waffle screaming from the product packaging but the upshot is that Supreme Sports reckons these peptides can make it from the intestines to the blood and thus to the target sites. The discombobulating sci-lingo might be another tactic to induce some sort of sheep-like trust in the potential purchaser, so we’re going to take it all with a pinch of salt. As far as we are aware, a healthy, well-formed gut can’t let this stuff out unmolested. Just our take on it though. We don’t have white coats and crazy eyebrows to prove we are legit scientists. OKG is Ornithine Alpha-Ketoglutarate, which is an amino acid. It involves itself with increasing protein synthesis and decreases recovery time peri-workout as well as in between. We have more faith in this ingredient. Tough one. There’s a lot of good customer feedback which would certainly suggest it’s worth a try. We think some of the positive comments are related to improvements that the person in question might experience anyway if they were monitoring their progress. Other comments are not like this and seem to be genuine acknowledgement that some part of the person’s physical development has improved as a direct result of using humanotropin. There’s nothing in Humanotropin we are concerned about. Always follow the guidelines on the packaging and if you are unsure whether you personally should take it, then consult a doctor. That is particularly aimed at people with a medical condition, or those taking other medication, as well as pregnant and nursing women. We wouldn’t recommend Humanotopin above some of the other products we have looked at, but we wouldn’t go so far as advising against it either. From our perspective, it didn’t do much for us in the way of muscle growth, fat-loss or performance enhancement. Perhaps our mothers breast-fed us for too long or something because the ‘first milk’ idea is a little far-fetched to base the entire supplement on! If you would like to see some of the top products we have reviewed, then follow the link below.